Kendra Buswell – I am so clever that sometimes I don't understand a single word of what I am saying. In constrictive shoes, the big toe is forced to bend toward the second toe and the first joint of the big toe is moved out of place. To compensate for the realignment, the outside of the joint is increased in size. Tendons then begin to pull the toe into an abnormal position. Over time the change in position becomes painful and permanent. The change in position also causes the mechanics of the toes and foot to be affected. 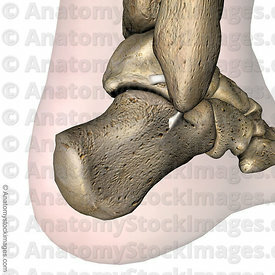 The joint at the base of the big toe carries a lot of weight when walking or running. In a normally shaped foot the position of the big toe helps create a wide base of support and stability. A foot that has had the big toe bent toward the second toe will tend to roll inward. This abnormal pronation, along with the ill-fitting shoes will make the Bunion even worse. If a person has a foot anatomy that is prone to Bunions, wearing footwear with a too-narrow toe box will accelerate the development of a Bunion. Wearing footwear with a wide toe box may help prevent or at least delay the development of Bunions.